Do You Have a Need For Workplace Learning Services? Certified professional coach trained in working closely with clients to help them assess, analyze and identify career goals, gaps and map out successful strategies. Dynamic creator and presenter of key transition skills consisting of assessment, vision and goal setting and networking across written and social media. Solid business skills and acumen acquired in more than 10 years of progressive sales experience in a Fortune 200 company providing a strong platform for coaching business professionals in the corporate arena. Skilled at working with diverse populations through ongoing activities within civic affairs, utilizing communication, business acumen and negotiation skills. For more information, please click here. We’re your mentor for business writing that rocks! Associations and organizations invite us to speak at their monthly meetings and conferences and to present break-out sessions, webinars, and business-writing workshops. Individuals draw from our expertise to write effective business letters, proposals, articles, and blogs that help take their writing to the next level. 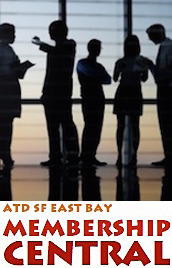 Mauri is a leading figure in the SF Bay Area career management community. Working with companies that need outplacement services as well as individual job seekers, she has an outstanding success rate in helping clients achieve career goals. A frequent speaker at professional conferences, job fairs, and career panels, she is an Adjunct Advisor of Career Services at Haas Business School, UC Berkeley. Mauri is a rarity among career consultants - highly technical background with an MBA education. She helps technical professionals in making career moves, and with a wide range of business expertise, she assists executives in diverse industries advance their careers. Mauri's motivational style combines old fashioned interpersonal relationship building skills with the latest technological tools. She is a professional "people person" who can engage an audience and build a relationship based on many years of professional experience. Her talents lie in her attention to the details of every aspect of a relationship. Successful organizational development and training consultant, educator and coach with a broad background and proven track record in working with people all levels of the organization to close the gap between potential and performance. Help organizations more effectively prepare for and readily adopt change initiatives so leaders and staff can focus on executing around winning strategies and well-defined goals. Excellent public speaker and professional writer. My consulting work is performed in partnership with leaders, managers and staff to ensure that everyone is equipped to bring organizational goals, performance needs and professional development into alignment. Experienced in working in the private and public sectors, and with non-profit organizations. My associates and I explore, use, and write about technology, creativity and innovation, Web 2.0 social networking tools, and training to creatively facilitate effective change in the workplace and effective face-to-face and online collaboration nationwide. We develop and manage workplace learning and performance (training) programs that focus on learners; assist in strategic planning, project management, marketing and public relations, and other aspects of organizational development; and help clients improve face to face and online presentation skills. Recent projects have included helping health care workers learn to use smartphones for medical record-keeping at Sutter VNA & Hospice and instructional design work to help Blue Shield of California employees learn what they need to know to implement the national health reform act.